Drunk drivers may only cause a small portion of total auto collisions, but they are responsible for roughly one third of all traffic fatalities. Recently, a 29-year-old drunk driver killed a 19-year-old Coral Springs resident while traveling over 100 miles per hour. Four of the teen’s friends, who were passengers, were injured. The drunk driver’s blood alcohol content was almost twice the legal limit of 0.08 percent, according to the Sun Sentinel. While the man was charged with inflicting serious bodily injury and reckless driving, the victim’s family will likely never recover emotionally. Victims of drunk driving collisions or their family members may file personal injury lawsuits in order to recover compensation. 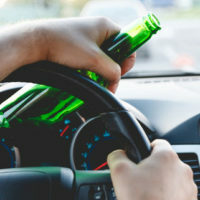 In addition, they may also seek punitive damages due to the presumption that the illegal blood alcohol content caused the accident and the perpetrator should be punished for engaging in this risky behavior. Whether you or a family member was injured by a drunk driver, you should explore filing a personal injury or wrongful death lawsuit against the negligent party. Do not hesitate to call an experienced West Palm Beach personal injury attorney with the Celeste Law Firm today at 561-478-2447.